Family Swim Info. 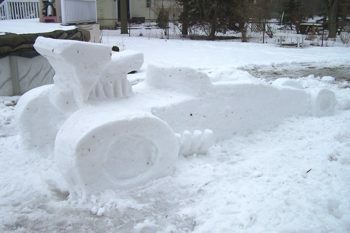 Snow Sculpture Contest Info. 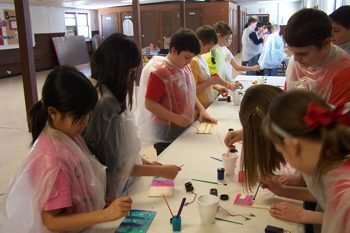 The Grand Island Recreation Department winter program "Come and Create" is for youths ages 7-12. Each week a new craft kit will be provided and when the craft is complete participants will be able to play games indoors and outdoors or paint/draw with supplies available. The fee is $20 and pre-registration is required, there are only 30 spots available. The classes will be on Saturdays from 10:00 a.m. - 1:00 p.m. starting on December 13th and continuing until January 31st at the Nike Base. See flyer for more details. The Town of Grand cordially invites veterans, family members and friends to attend the Veterans Day Service on Tuesday, November 11th at 11:00 a.m. at Veterans Park Memorial Wall, 1717 Bedell Road. 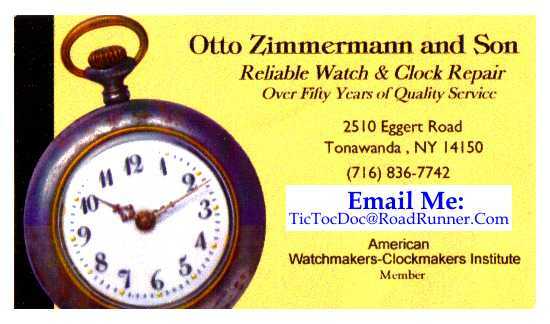 A call to all veterans, support your local VFW Post and American Legion Post. The soldiers of the United States Armed Forces make many sacrifices while dedicating their time serving our country. The VFW and American Legion help in making sure due recognition is received and keeping strong traditions active. The two organizations continue service to their community through volunteerism, scholarships, and community service as well as provide support for current military members and veterans. If you have any questions you can contact Recreation Department at 773-9680, or by email to recreation@grand-island.ny.us. The Town of Grand Island extends a very gracious Thank You in advance for your time and participation. Despite the cold and rain on Saturday, October 2nd, the Recreation Department still had 17 kids tough it out for the final day. 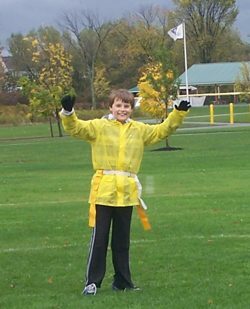 The GI Recreation Department has been hosting a Flag Football Skills and Games session on four consecutive Saturday mornings starting September 13th at the Football Field at Veteran's Park. Boys and girls ages 7-15 were invited to participate in this free event. An Open Gym for pick-up basketball games will be held for adults 18 and over on Tuesday nights, from 7-9pm at the Middle School gym. 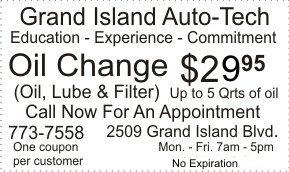 Grand Island residents are $5 per session or $20 for a season pass. Non-residents are $7 per session or $30 season pass. Starting date is November 4th and it will run through March 3rd. See flyer for complete details. The GI Recreation Department will host a Flag Football Skills and Games session on four consecutive Saturday mornings starting September 13th at the Football Field at Veteran's Park. Boys and girls ages 7-15 are invited to participate in this free event. Registration and a release form signed by a parent or guardian is required. You may register at the Recreation Department and the deadline is September 12th. See flyer for details. The ladies Monday Night Softball league ended their season on Monday, August 18th with the Goodfellas Yankees winning both the Monday Night Women's league championship and playoff championship. They were 11-0 on the season. See game results. 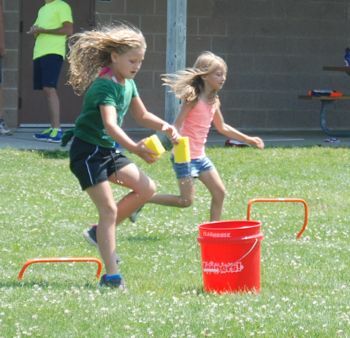 The Grand Island Recreation Department Sports Craze for 6-9 year-old kids had their final day of camp on Tuesday, July 22nd at Veterans Park. The day ends very wet as traditionally it is "water day". 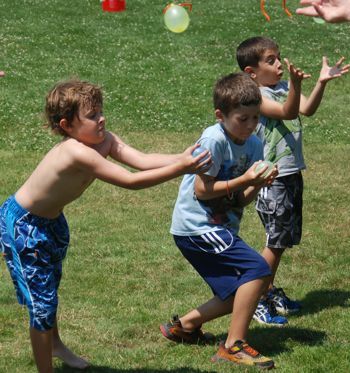 Campers are invited to bring in water blasters and spend the last hour having a water balloon toss and an obstacle course. 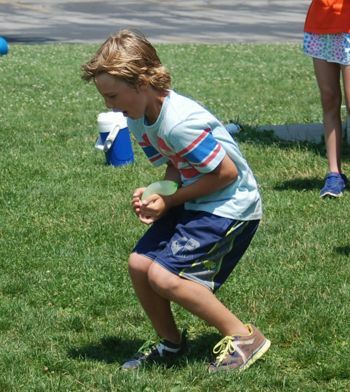 The next Sports Craze is for 10-13 year-olds and will begin on Thursday, July 24th. 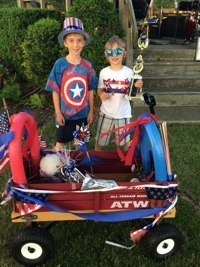 This year's winners, and defending champs from 2013, are Luke and Brody Winarski, ages 8 and 6. 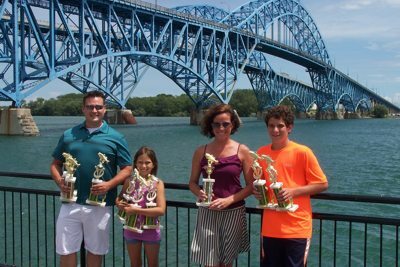 From left: Jonathan Williams, Nicolette Williams, Sondra DeFranks and Benny DeFranks. The GI Recreation Department is sponsoring a new volleyball program, "Volleyball Skills, Drills & Games". The program is for boys ages 13-18 and will be on Monday-Wednesday-Fridays from 12 noon to 2:00 p.m. at the Veterans Park Beach Volleyball Courts. See flyer for details. The program runs from July 7 - July 25, 2014. 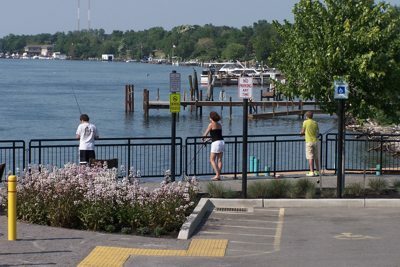 The Town of Grand Island Recreation Department is hosting a fishing contest on Saturday, June 28th. There are two times available, the morning session is from 8:00 a.m. - 11:00 a.m. and the evening session is from 5:00 p.m. - 7:00 p.m. It is a free fishing day for the public, no license is required and it is a Catch & Release program. All fish must be caught in the Fisherman's Landing area. The contest is open to youth 9-15, adults 16 & up, seniors 65 & up and special needs residents. See flyer for details. The Town of Grand Island Recreation Department is sponsoring the event open to youth 4-8 years-old. Bring your decorated wagon to the Town Hall Gazebo on Tuesday, July 1st during the band concert. Check-in time is 7:30 p.m. and judging is during the concert and awards are at 8:15 p.m. Judging is based on ovall look, patriotic theme, and details. See flyer for details. The Town of Grand Island Recreation Department is sponsoring a Kids & Pets photo contest. Select your three best photos of a child and pet together. Photos must be 5x7, in color or black and white and mounted. All entries become the property of the Town of Grand Island. Entries will be displayed in the Town Hall. Contest ends August 30th and winners will be announced September 12th. All entries must have name, address and phone number on back. Submit entries to the Recreation Department, 3278 Whitehaven Road, between 7:00 a.m. - 3:00 p.m. 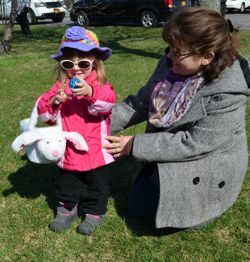 The Island Easter Bunny Visit and Egghunt was a well attended event on Saturday, April 19th at the Town Commons. 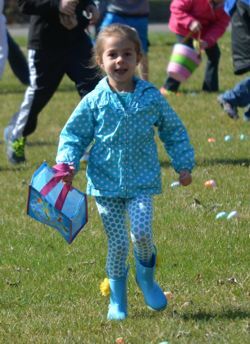 The Recreation Department reports that approximately 200 - 250 kids were on hand to find the 2,500 eggs and 24 golden eggs hidden throughout the Commons. 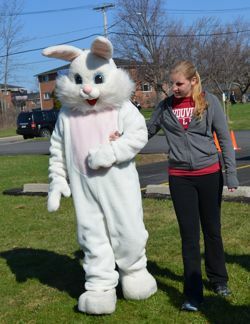 There were visits with the Easter Bunny and coloring activities as well. 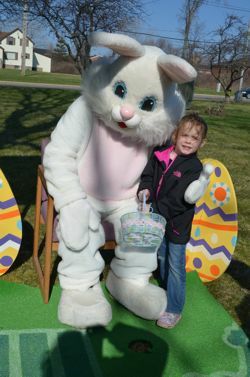 Visit with the Island Easter Bunny on Saturday, April 19th from 10:00 a.m. - 12 noon at the Town Commons and hunt for Easter Eggs. 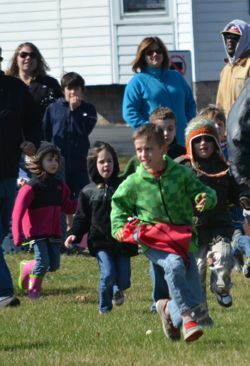 The hunt will start at 10:15 a.m. and will finish when the eggs are gone. Activities include an Easter Egg Hunt for Toddlers - 4 years old, Easter Egg Hunt for Children 5 - 10 years old, Find a Golden Egg and win a special prize, Pictures with the Island Bunny, Guess How Many Eggs Contest and Easter Themed Coloring activites. This event is rain or shine. See flyer. Cancelled Recreation Supervisor Joe Menter has announced a Spring Break Day on Friday, April 18th from 9:00 a.m. - 3:00 p.m. at the Community Center at the Nike Base, 3278 Whitehaven Road. The activity is open to children in 2nd - 5th grade and is limited to the first 30 registrants, pre-registration is required. The cost is $10 per person and includes a draw string tote bag, water bottle, bucket hat, fabric markers and paint so children can create summer beach gear. To register call 773-9680 or email recreation@grand-island.ny.us. Payment can be made on the first day by cash or check. When finished utilizing their creative side children can enjoy a movie and games. See flyer. The Women's Volleyball League Champs are Team Ibuprofen. The Women's Volleyball A Playoff Champs are Six Pack. The Women's Volleyball B Playoff Champs are Set to Kill. 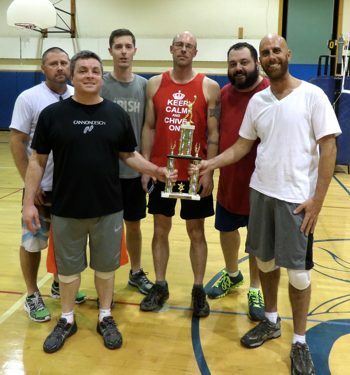 The Wednesday Night Men's Basketball League Champs are the VIP's. The Wednesday Night Men's Basketball B Champs are Average Joes . The Wednesday Night Men's Basketball A Champs are the Stahlka Agency. The Grand Island Recreation Department summer softball league is registering teams for the 2014 season. The leagues include Monday Night Ladies, Tuesday Night Men's and Thursday Night Men's. The leagues will start the week of May 5th and playoffs begin the week of August 18th. See registration Form. Maris family dragster - Click for larger view. You still have time but maybe not the snow to enter the Grand Island Recreation Department Snow Sculpture contest. You have until March 30th to call or email Recreation Supervisor Joe Mentor and let him know where your sculpture is. Above is a dragster created by the Maris family. Phone: 773-9680, e-mail. The Men's Volleyball Blue Division B Playoff Champs are team Cannon. The team members are John Mezhir, Marty Pieszak, Dan Mcmann, Bob Carrie Jr., Tony Preteroti, Mike McMann, Drew Gother, Jon Beyer, Justin Caldwell, Brian Boyle, Tim Costello, Rich Andrew. 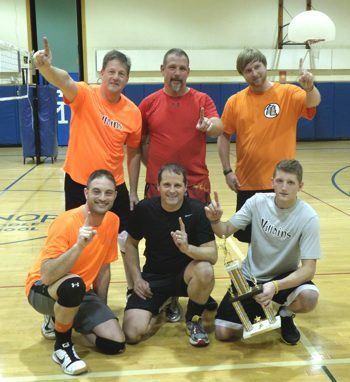 The Men's Volleyball Blue Division League Champs and A Playoff Champs are Island Lanes. Their team members are Eric Breier, Joe Cinelli, Shawn Kelly, Todd Lee, Steve Lillian, Chris Raczjak, Ryan Reed, Jeff Rogan, Mike Sanflippo, and Eric Volk. 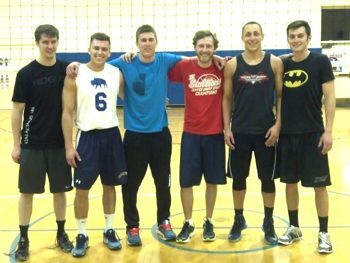 The Thursday Night Men's Volleyball White Division Champs are The Dirty Half Dozen. The members on the roster are Paul Holler, Scott Holler, Sean Steckelberg, Josh Snyder, Ryan Samland, Justin Hatten, Andrew Nawottea, Glenn Holler, Paul Dhand, Austin Ihle. Instructor Mark Kobel with class. Assistant Kelsey Mash with participants. Car engineers with Instructor Kobel, click for larger view. Eric Scalise and Chris O'Connor. 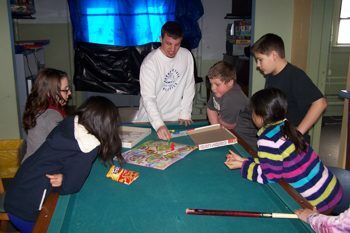 Chris McDonnell and kids playing board games. The "Build Your Own Electric Car" activity on February 17, 18, 19, at the Community Center at the Nike Base was a big hit! 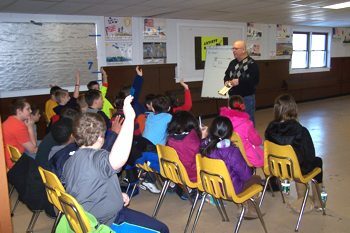 The activity was led by Mark Kobel, a 5th grade teacher at St. Andrew's Country Day School in Kenmore with assistance by Recreation Department staff; Kelsey Mash, Sarah Williams, Frankie Koch and Chris McDonnell. 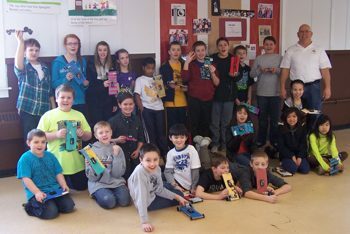 The children used fundamental math, science, engineering and artistic skills to build the cars. They had to measure and square a lines to put the wheel base on bottom of the car and had to be square so the cars would go in a straight line. They then attached an alligator clip to a battery pack and had to place and crimp wire into place. Next was the use of a hot glue gun to glue battery pack and motor to body of car. Then it was the personalization of their own cars with a custom paint job. Once cars were finished the kids had a ball racing them against each other and they got to keep the cars to take home. The second activity was "Movie and Games" on February 17 & 18 from Noon - 3:00 p.m. The children brought their own lunch and relaxed and watched a movie after building their cars. The Recreation Department provided snacks and drinks. Monday's movie was Monster's University and Tuesday's movie was Despicable Me 2. 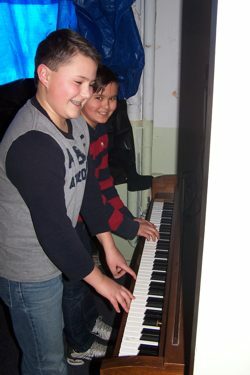 After the movie children played games such as; arcade basketball, air hockey, knock hockey, board games and the piano. Recreation Supervisor Joe Menter has announced two fun activities available during the winter break from school. 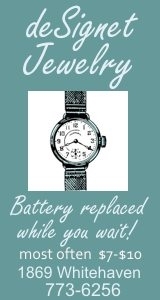 The first is a "Build Your Own Electric Car" on February 17, 18, 19, from 9:00 a.m. - noon at the Community Center at the Nike Base, 3278 Whitehaven Road. The activity is open to children in 4th - 8th grade and is limited to the first 30 registrants. The children will build and race their own electric cars and they can keep them when finished! The cost is $10 per person and inlcudes materials and a snack. To register call 773-9680 or email recreation@grand-island.ny.us. Payment can be made on the first day. The Recreation Department is also offering "Movie and Games" on February 17 & 18 from Noon - 3:00 p.m. at the Community Center at the Nike Base, 3278 Whitehaven Road. The activity is open to children in 4th - 8th grade and is limited to the first 30 registrants. Participants can watch a movie in the Reality Cafe "Theatre" or play air hockey, knock hockey, arcade basketball and other games. To register call 773-9680 or email recreation@grand-island.ny.us.